Asean Law Firm LLC (ALF) is a full service boutique international business law firm located in Hanoi and Ho Chi Minh City, Vietnam which provides business legal services to international investors desiring to have its presence in Vietnam and around ASEAN. ALF’s specialty practice areas include foreign investment, establishment of 100% foreign owned enterprises (FOEs), mergers and acquisitions, joint ventures, governance, shareholder relations, construction and real estate, capital markets, corporate and labor/employment law, dispute resolution, distribution, franchise, and intellectual property, energy, environment, IT, and telecommunication as well as immigration and employment matters. Areas of practice: Setting-up company / incorporation of Foreign Invested Enterprise / M&A: Legal advice on all aspects of foreign investment is at the core of the practice of ALF. ALF advises foreign investors in numerous business sectors, including manufacturing, energy, distribution, information technology (IT), franchising and many others. The scope of this work includes preparation of the necessary documentation to set up a business establishment in ASEAN including 100% foreign owned enterprise, review of the existing and proposed corporate structures, representation of the client in negotiations and discussions with national and local government authorities and with relevant counter parties. 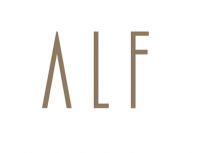 In many cases, ALF serve as general counsel for corporations and represent them in all aspects of their corporate life – from the original establishment of the enterprise through all aspects of its establishment and operation.